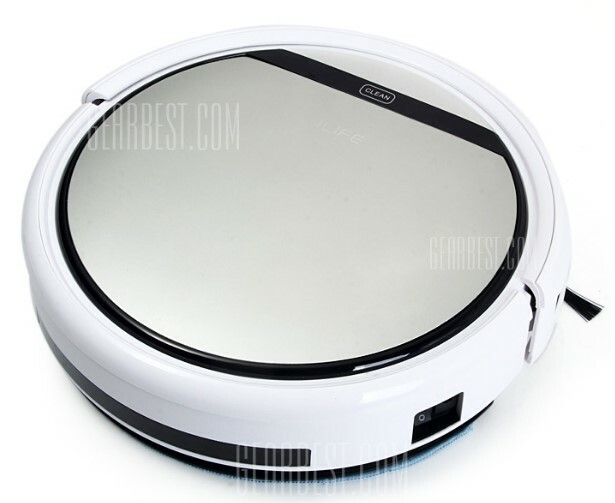 Robotic Vacuum Cleaners As Low As Just $107! PLUS FREE Shipping! 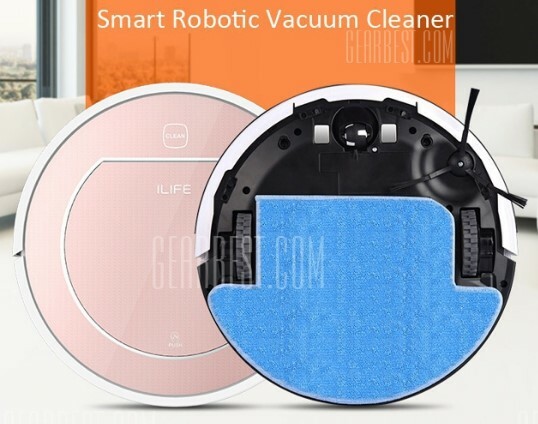 You are here: Home / Great Deals / Robotic Vacuum Cleaners As Low As Just $107! PLUS FREE Shipping! I have always been fascinated by Robotic Vacuum Cleaners. I have wanted one for the longest time. But, they are expensive and I just couldn’t justify the cost. 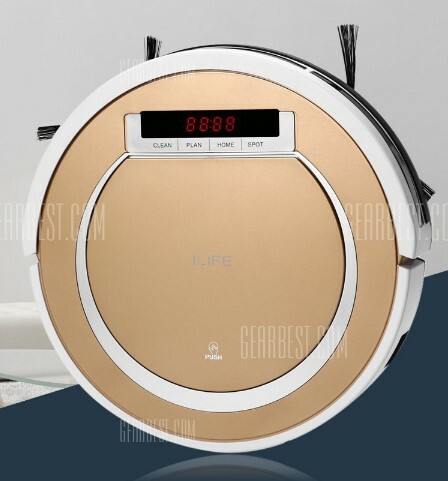 Recently GearBest contacted me about sharing their Robotic Vacuum Cleaners on my site and gave me coupon codes to add on top of their sale prices! They are definitely less expensive than they once were. 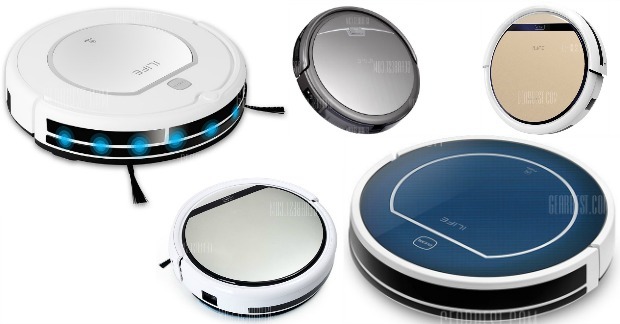 The ILIFE V5 Intelligent Robotic Vacuum Cleaner even mops floors! This is priced at just $116.79 right now – but, through 9/30 you can use code: ILIFEV5 at checkout to get it for just $112.99 regularly $298.87! Normally $303.08 on sale now for just $158.72 – use code: GBCWV7 to get it now for just $145.99! Normally $189.18 on sale now for just $142.99 – use code: ILIFEV7LA to get it now for just $140.99 PLUS FREE Shipping! Normally $262.51 on sale now for just $127.39 – use code: GBCWV5S to get it now for just $121.99! 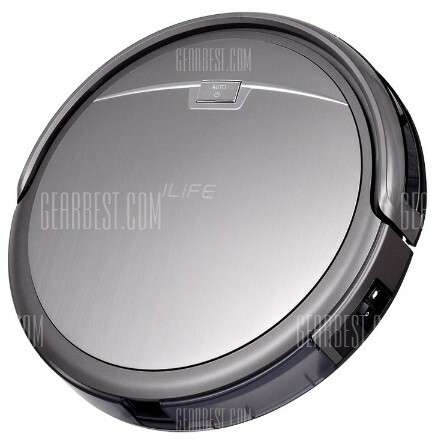 ILIFE V5 Pro Intelligent Robotic Vacuum Cleaner is an essential household cleaning machine. With Intelligent Anti-collision System Sensor, it can intelligently prevent collisions and protect furniture from damage. 850pa Super Suction can help you save more energy and time. Powerful intelligent cleaning, wet and dry cleaning and multi cleaning modes for your choice. Large coverage area up to 150 – 180 square centimeters. Less than 50db low noise mute will give you a quiet room. Easily deals with all kinds of environments. Suitable for floor, cement, ceramic tile, wooden floor, carpet, etc. 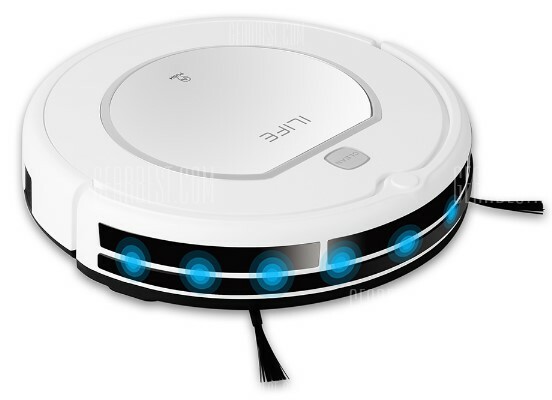 • Intelligent Drop Avoidance Induction: IR sensors at the bottom detect the height to avoid falling, it will avoid the obstacles and change direction automatically. • 7mm Slim Design enables this cleaner to work in narrow spaces, it cleans corners as well as under furniture. • Suitable for floor, cement, ceramic tile, wooden floor, carpet, etc. Normally $196.58 on sale now for just $131.99 – use code: ChuwiA4 to get it now for just $125.99! 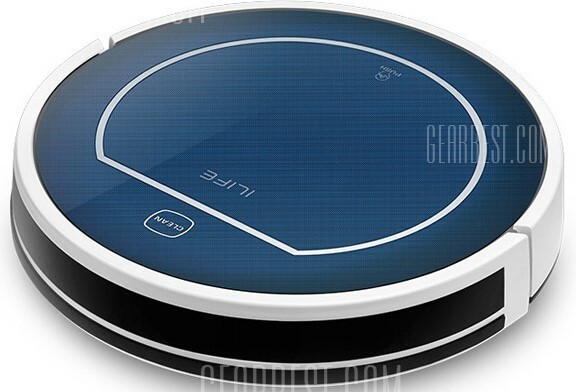 ILIFE A4 Intelligent Robotic Vacuum Cleaner is an essential household cleaning machine. With Intelligent Anti-collision System Sensor, it can intelligently prevent collisions and protect furniture from damage. 1000pa Super Suction can help you save more energy and time. Powerful intelligent cleaning, and multi cleaning modes for your choice. Large coverage area up to 180 – 200 square centimeters. Less than 65dB low noise mute gives you a quiet room. Suitable for floor, cement, ceramic tile, wooden floor, carpet, etc. • Intelligent Drop Avoidance Induction: IR sensors detect the high gaps avoiding falls, avoids obstacles and changes direction automatically. Normally $171.56 on sale now for just $130.25 – use code: ILIFEA4LA to get it now for just $127.99 PLUS FREE shipping! 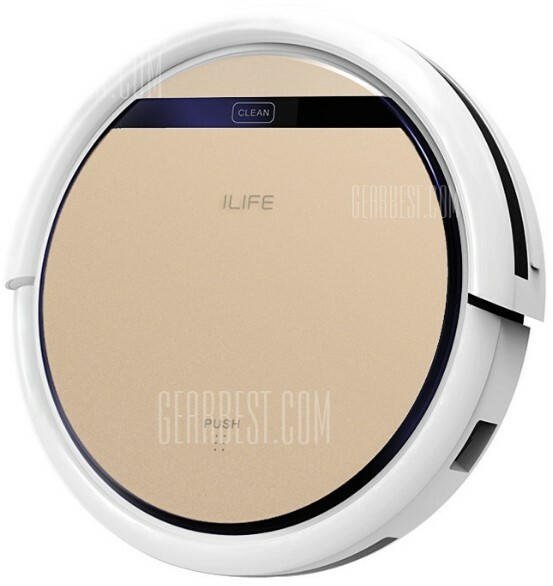 ILIFE A4 Intelligent Robotic Vacuum Cleaner is an essential household cleaning machine. With Intelligent Anti-collision System Sensor, it can intelligently prevent collisions and protects furniture from damage. 1000pa Super Suction can help you save more energy and time. Powerful intelligent cleaning, multi cleaning modes for your choice. Large coverage area can be up to 180 – 200 square centimeters. Less than 65dB low noise mute will give you a quiet room. Suitable for floor, cement, ceramic tile, wooden floor, carpet, etc. You deserve to own it. Normally $332.45 on sale now for just $153.39 – use code: IlifeV7S to get it now for just $145.99! IR sensors at the bottom detect high gaps avoiding falling, it will avoid obstacles and change direction automatically by inductor. It better protects the furniture. When using dust storage tank it becomes a sweeper, when using water storage tank it becomes a mop. Automatic cleaning ｍodes, border cleaning modes, concentration cleaning modes, reservation cleaning modes. When the power is about to run out, the sweeper can head back to recharge with IR induction. You can sleep while cleaning. Enable this cleaner to work in narrow spaces making it is possible to clean the bottom of furniture and corners. • Dust box capacity: 500ml. • Water storage tank capacity: 450ml. • Remote control distance: About 4 meters. • Charging time: About 300 minutes. • Working time: About 140 minutes. • Cleaning coverage: About 80 – 220 square centimeters. Normally $267.63 on sale now for just $128.99 – use code: ILIFEX5S to get it now for just $128.99! Auto cleaning modes / border cleaning modes / concentration cleaning modes / schedule cleaning modes. IR anti-collision sensors and mechanical anti-collision system. It can better protect the furniture. 550Pa is super mute modes, 850Pa is relative mute modes. IR sensors at the bottom detect the high gap, avoid the dropping, it will avoid the obstacles and change direction automatically by the inductor. Whether it is confetti debris, cigarette butts, and ash, or beans and seeds shell, it is easy for you to clean them up. Suitable for the floor, cement, ceramic tile, undercoat carpet, etc.. It can climb 15 degrees slope height, never impede by the slight slope in your home. Easy to help you solve the noise problem, you can sleep while cleaning. Normally $123.01 – use code: ILIFEV1 to get it now for just $106.99 PLUS FREE shipping!